A southern favorite that is popular in Southern cooking. A tasty treat both cooked and raw. 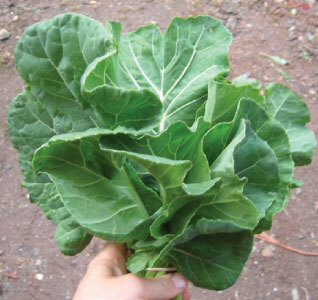 Collards flavor is enhanced by cool weather making it taste even better grown during a Northern fall. 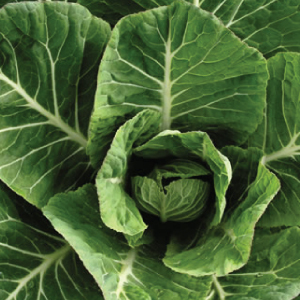 The Champion collard is a tasty improved Vates selection that have large, dark green, cabbage-like leaves that save up to 2 weeks or longer. 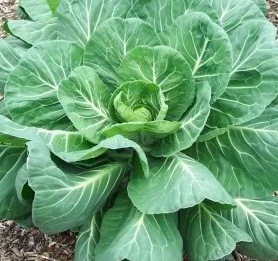 Georgia Southern is a large vitamin rich collard plant with a sweet cabbage-like taste that is great for cooking or freezing! The Vates collard is one of the highest yielding collards around as this variety produces dark green leaves that are very delicious.